Tessa Montague, a second year graduate student in Alex Schier’s lab, has received The National Defense Science and Engineering Graduate (NDSEG) Fellowship. The NDSEG is a highly competitive 3 year fellowship that provides an annual stipend of $31,000, pays full tuition and fees, and up to $1,000 a year in medical insurance. Tessa’s enthusiasm for research began as a high school student in Dr. Malcolm Logan’s lab at the National Institute for Medical Research in London, where she studied limb development in chicks. After receiving her bachelor’s degree in genetics from Cambridge University she undertook a master’s degree at Cambridge, where she worked in the lab of Professor Daniel St Johnston. Tessa’s research focused on trying to understand the atypical epithelial polarity of the Drosophila midgut. Since joining Harvard’s MCO program, Tessa has continued to study the mechanisms that govern how a single cell develops into a complex, multicellular organism, but this time through the prism of the zebrafish. 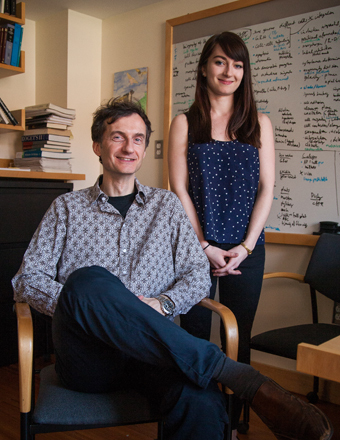 Her project in Professor Alex Schier’s lab investigates a role for long non-coding RNAs in early embryonic development. Outside of the lab, Tessa is an avid violinist, salsa dancer and kickboxer and she is hoping one day she will finally persuade Alex to get a lab puppy.